Restrictive covenants such as noncompete agreements are commonplace in today’s employment contracts. Minnesota’s large med-tech presence often lands departing employees in legal battles with Medtronic, Boston Scientific, St. Jude Medical, and other companies who have attempted to protect their intellectual property and trade secrets through restrictions in employment agreements. As one expects, a noncompete agreement is meant to prevent a departing employee from leaving the company and immediately working for a competitor of the employer. When an employer believes its former employee left to join a different company directly competing with the employer, often, the employer will start a lawsuit to enforce the noncompete agreement. At the same time the lawsuit is filed, and sometimes even before the former employee knows of the lawsuit, the employer brings a motion for a temporary restraining order or preliminary injunction to stop the former employee from continuing to compete during the pending lawsuit. In some cases, the employee takes proactive measures, and instead of waiting for their former employer to sue, the employee may start their own lawsuit against the former employer to attack the enforceability of the noncompete. For a good discussion on the employee’s dilemma in these types of cases, see Christopher Penwell’s July 2017 article in the Bench & Bar of Minnesota titled Why Employees with Noncompetes Need Quicker Access to Courts. Even if the employer has a noncompete clause in its employment agreement, the court will not automatically grant injunctive relief to stop the former employee from working for their new employer. Minnesota courts only grant injunctive relief if “any remedy at law [i.e., money] would be inadequate and that an injunction is necessary to prevent great and irreparable injury.” Cherne Industrial, Inc. v. Grounds & Associates, Inc., 278 N.W.2d 81, 92 (Minn. 1979). Generally, this means the employer must prove that money will not adequately compensate for the loss, and the employer will endure irreparable harm if the court does not order the former employee to stop working with their new employer. For a long time, employer drafted remedy clauses have been included in noncompete provisions stating that the parties agree that if the employee breaches the noncompete, the employer will suffer irreparable harm, and monetary damages will be inadequate to fully protect the employer. The purpose of this language is that the employer gets the employee to agree in advance to the legal elements (irreparable harm and an inadequate remedy at law) that the employer would be required to later prove if the noncompete clause is breached and the employer asks the court for an injunction. St. Jude argued that this language in its noncompete conclusively established that a remedy at law (money) would be inadequate and St. Jude would suffer irreparable harm. Essentially, the argument was made that because the contract said these two elements existed, the court should find that they did exist, and St. Jude should have been granted injunctive relief preventing its former employee from competing. The Supreme Court rejected this argument and said it is not that simple when a party is asking for equitable relief such as an injunction, as opposed to a mere request for monetary relief. The Court noted, “we require that parties do more than incorporate terms into a contract to demonstrate a right to invoke the aid of a court’s equitable powers.” Carter, 913 N.W.2d at 683. The Court held that “district courts are not required to exercise their equitable authority simply by reason of the contract” and that the “language of the Agreement [is not] sufficient to establish an inference of irreparable harm.” Id. Ultimately, the Court required that St. Jude still had to prove that monetary relief was inadequate to remedy the alleged wrong, and that it would suffer irreparable injury if its former employee continued working at St. Jude’s competitor. The Carter case is unlikely to result in wide-spread changes to noncompete provisions in Minnesota. However, businesses and their attorneys should be mindful of Carter’s requirement that the party seeking an injunction to enforce a noncompete agreement must still prove the legal elements of its case, even though the contract may already say that the elements exist. On the other hand, employees, and more specifically their attorneys, should be aware of the Carter holding should the employer fail to meet its legal obligations to obtain injunctive relief. Mere labeling in a noncompete agreement will not suffice, and it is up to the judge to make the decision based on the facts and circumstances of each individual case. 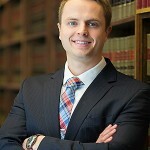 This post was created by Christopher Boline, a commercial litigation attorney at Dudley and Smith, P.A., with help from Michael Arin, a law clerk and current student at the University of Minnesota Law School. If you have questions about noncompete agreements, or employment contracts, or the possibility of litigation, please contact Christopher Boline at 651-291-1717 or by email at cboline@dudleyandsmith.com. Dudley and Smith, P.A. is a full service law firm with offices in St. Paul, Bloomington, Burnsville, Chanhassen, White Bear Lake, and Woodbury.